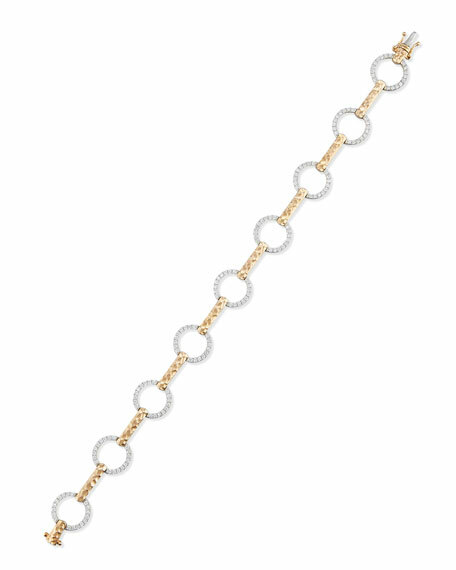 Two-tone link bracelet by Bessa. 18-karat rose gold links with hammered finish. 18-karat white gold pavé diamond circles. Box and tongue clasp with side safety locks.